[The Wi-Fi Halo] is very simple to set up and get it running. The menu system is very practical and less ‘technical’. It’s well-organised and shows you what you need. Compared to Asus AC56U, MyRepublic WiFi-Halo’s coverage is much better. 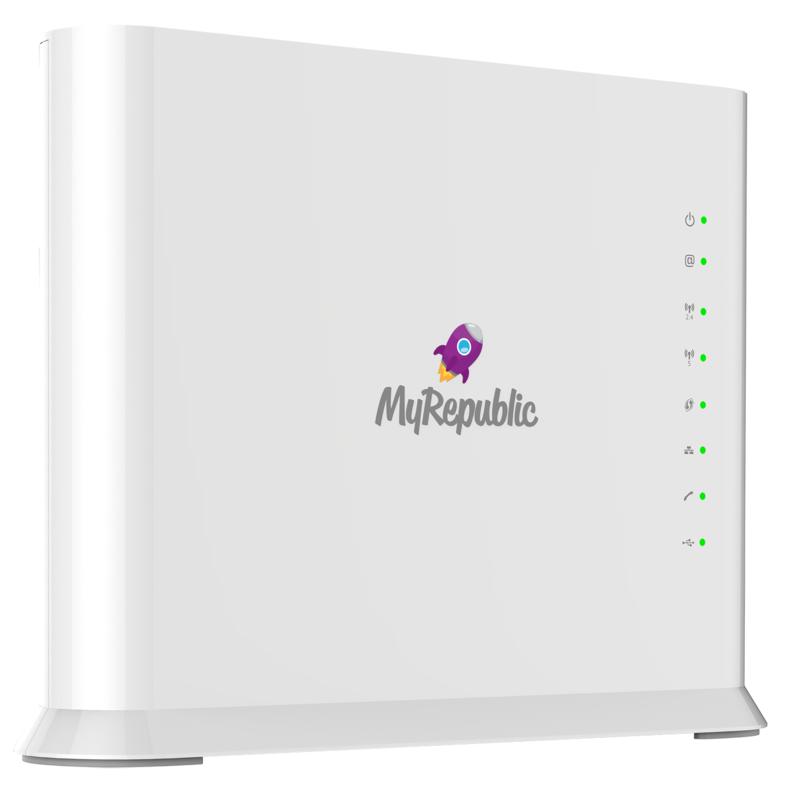 The internet connection is so much smoother and faster with MyRepublic’s Wifi-Halo. I will definitely recommend it! Wi-Fi routers work best when placed out in the open. That’s why we designed the MyRepublic Wi-Fi Hub and Wi-Fi Halo to not only provide fast speeds for all your devices, but to fit in your living room. 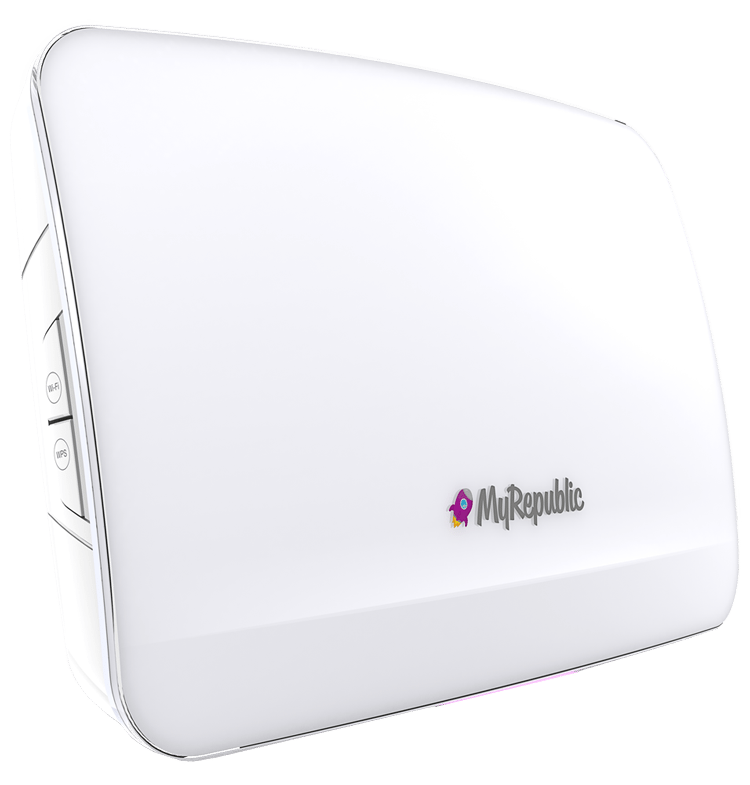 Featuring the latest 802.11ac technology and up to 4x4 spatial streams, MyRepublic Wi-Fi routers offer data rates up to three times faster* than the previous 802.11n Wi-Fi standard. Get better performance with the Wi-Fi Halo with MU-MIMO technology allowing each device their own dedicated high-speed connection. Beamforming further focuses the Wi-Fi signal on each device, improving Wi-Fi speeds. Both the MyRepublic Wi-Fi Hub and Wi-Fi Halo transmit on 2.4GHz and 5GHz bands at the same time, allowing your devices to connect on the band allowing the fastest possible performance. *Based on theoretical peak speeds. Actual speeds will likely be lower. For a detailed list of technical specifications for the Wi-Fi Hub and Wi-Fi Halo, click here. *Actual performance will depend greatly on factors that specific to your house and devices in use, including distance from the router, the mix of wireless products and operating systems used, wireless interference, building materials and construction and other conditions. These provided values are estimates assuming no obstruction and maximum 5m distance. For best performance out of your broadband plan, we recommend a direct LAN cable connection.